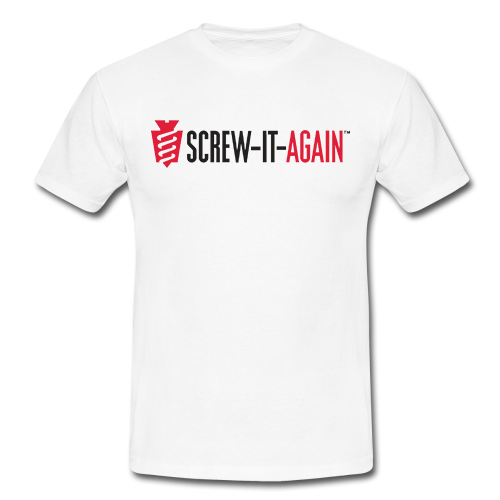 This 100% cotton Screw-It-Again T-Shirt is a great way to promote this revolutionary new product in your store. Screw-It-Again is the one and only wood anchor engineered to fix stripped screw holes in all types of WOOD, ​MDF, plywood and particle board in less than a minute. 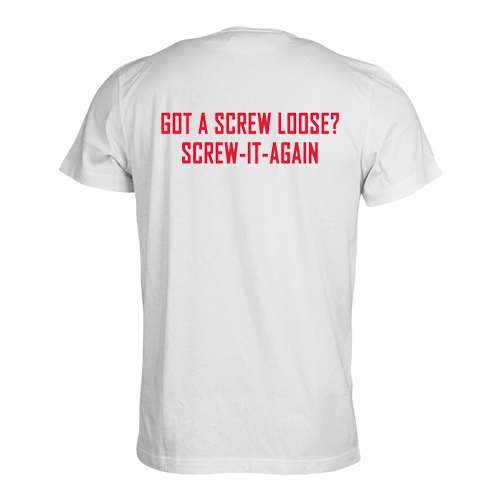 All you need is a screwdriver and you can fix on a few simple steps. 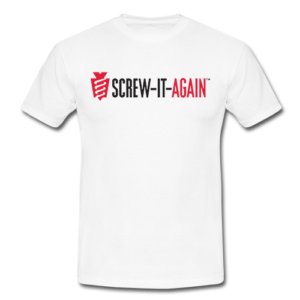 Start the conversation with the Screw-It-Again T-Shirt when you wear it in-store and explain to customers that the Screw-It-Again wood anchor is an efficient and long-lasting solution to fixing stripped screw holes in all types of wood. The anchor features a notched head for simple screw-in, tapered body so one anchor fits multiple hole sizes, scored sections for easy snap and is threaded for a perfect grip.